For the love of beer, that’s a jolly enjoyable way to lose 30 pounds! Del Hall’s diet might not be the best for your gut, but it’s clearly worked. The army veteran made the ultimate sacrifice for Lent, giving up all food in the name of Christianity. On the plus side, he fully embraced his second favourite means of sustenance, and has been living exclusively off beer for the past month. He began this great feat of religious dedication on March 6 – otherwise known to those close to God as Ash Wednesday – and since has lost 30 pounds. Hall had shed a whole 17 pounds within the first week and – unsurprisingly – the weight has continued to melt off thanks to this liquid diet. 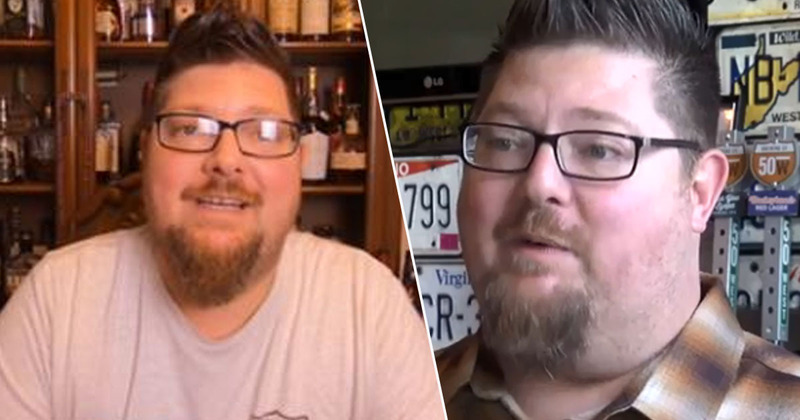 At 31 days into his journey of ditching food in favor of beer, Hall has lost 33.5 pounds. Easter Sunday isn’t until April 18, either, so it’s all to play for. He shared the news on his YouTube channel, which almost exclusively consists of weight updates which he posts religiously. He’s over halfway through the 46-day slog – to mirror Jesus’ time in the desert in case you missed Sunday school – and what he’s lost in pounds he’s gained in viral super-stardom. It’s what Jesus would’ve wanted. Hall’s inspiration for his beer diet was derived from 17th-century Bavarian monks who brewed beer specifically for a liquid-only Lent fast. Being master brewers, they decided they would take a popular style of beer in Germany, bock beer, make it extra hearty and that would be their liquid bread and that’s what they call it. So the monks in Bavaria, they would call doppelbock liquid bread and basically it would sustain them through the 46 days of Lent. As reported by ABC 6, Hall has been consulting with a doctor regularly during his food fast and is incorporating lots of water into the liquid diet. Amazingly, he says on his channel he feels really good, and reports an increased ‘mental clarity’ and ‘heightened senses’, as well as reduction in sweating after physical activity and ‘healthy’ daily bowel movements with ‘sludge’. Let’s just hope the priest gives him a swing of the communal wine come Easter Sunday.